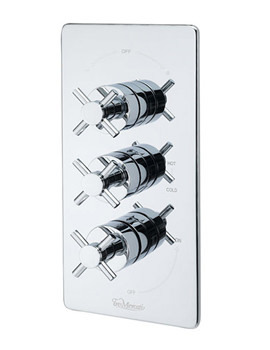 Exclusive design and unmatched form are some of the hallmarks of Tre Mercati bath accessories. 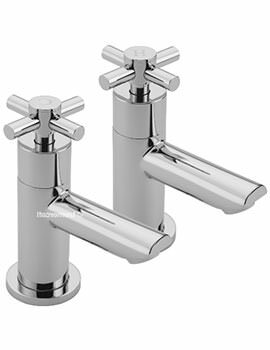 Pictured here are the Erin pair of bath taps that are an ingenious combination of modern mechanism, contemporary lines, and a traditional style. 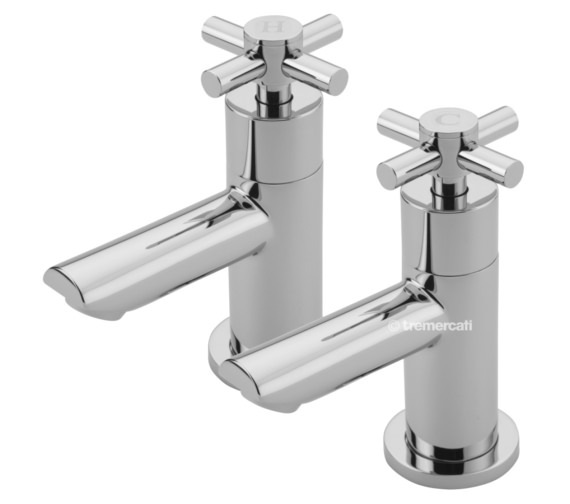 As you can see, the sleek columns of these taps have classic cross-head levers for release of hot and cold water. The inner body itself is fabricated from premium materials, while the exterior has been seamlessly burnished with shining chrome. 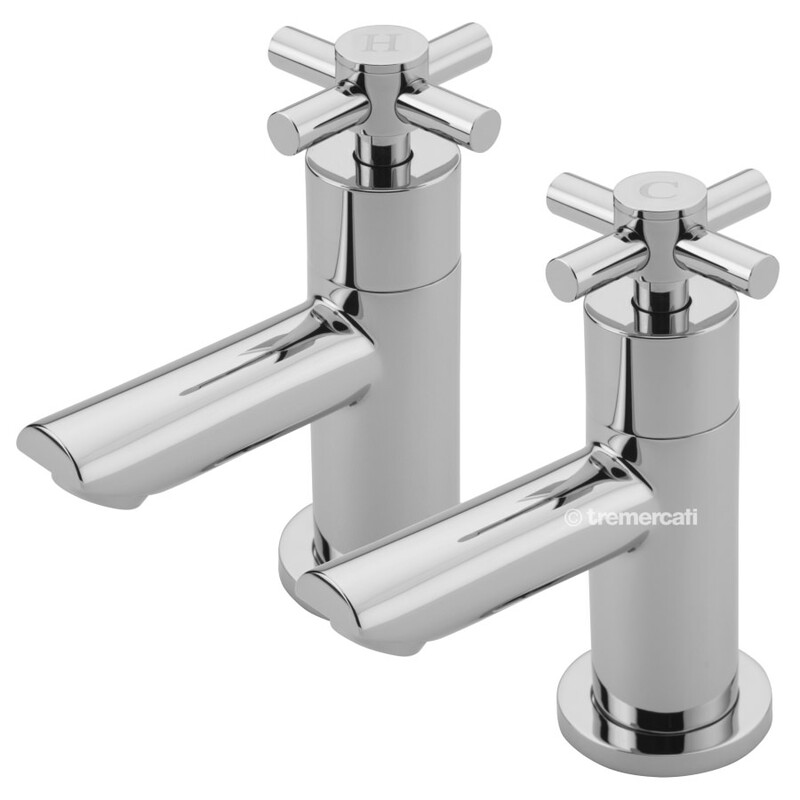 Ideal for low and high water pressure systems, this pair of taps is WRAS approved, ensuring you quality and durability. 10 years guarantee against any manufacturing defects. What is a WRAS Approved Product? 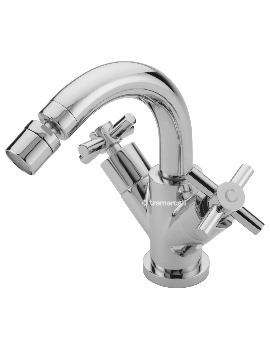 WRAS Approval means that the particular water fitting or product complies with or meets the requirements specified by the Water Supply (Water Fittings) Regulations or Scottish Byelaws. Such compliance is based on certain tests that prove that the product or fitting does not cause waste, misuse, contamination or undue consumption of the public water supply system in the UK. 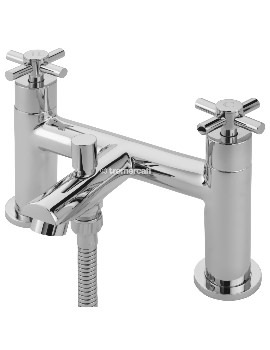 Hi thanks for your question – the Tre Mercati Erin has ¼ turn valves as does the Tre Mercati Maverick, but Tre mercati Imperial and Charleston ranges are traditional screw compression valves : for this please refer this URL : For Tre Mercati Maverick (https://www.qssupplies.co.uk/bathroom-furniture-shower-taps/3885.htm), (https://www.qssupplies.co.uk/bathroom-furniture-shower-taps/3886.htm), (https://www.qssupplies.co.uk/bathroom-furniture-shower-taps/3892.htm) And For Tre Mercati Charleston (https://www.qssupplies.co.uk/bathroom-furniture-shower-taps/3868.htm), (https://www.qssupplies.co.uk/bathroom-furniture-shower-taps/3869.htm), (https://www.qssupplies.co.uk/bathroom-furniture-shower-taps/3872.htm).